Andover High School teachers and staff were recently told of the new ALICE Program. This tells teachers what they have to do if an intruder comes into the school. ALICE stands for Alert, Lockdown, Inform, Counter, and Evacuate. This is a step by step plan of what teachers and students should do if an intruder comes into the school or even their room. The first tactic has the students trying to flee from the school instead of hiding in a corner. The Police Department wants the students and teachers to get out of the school as quickly as possible because a group of students huddled together in a corner is an easy target for the intruder. When asked for their opinion of what they would do if someone violent came into the school, students liked ALICE better because “it gives multiple options,” said Phoebe Halmori, a freshman. But other students, like Jeff Sambuco, a freshman, said they would rather stay in the room and hide in a corner. 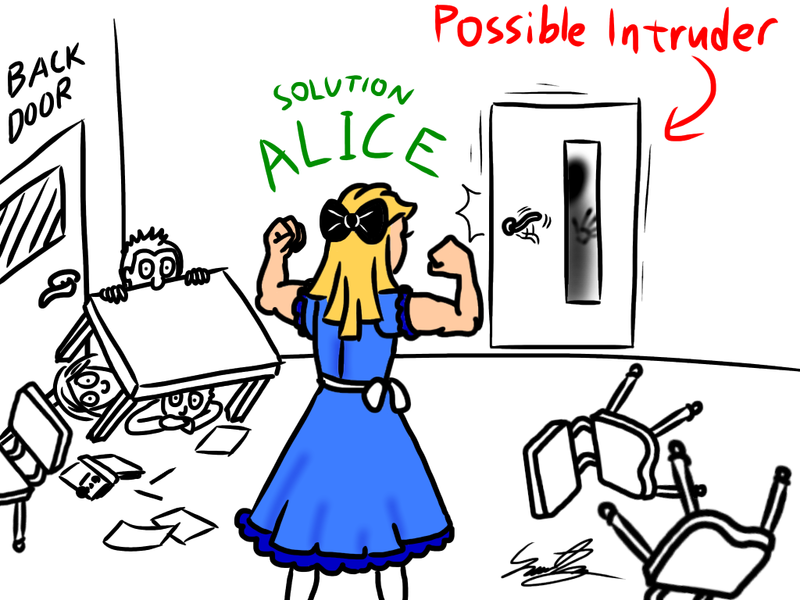 According to the ALICE Training Institute’s website, ALICE isn’t just used at schools. It’s used at businesses, hospitals, churches, and government and law enforcement workplaces. ALICE programs can even come to your school and teach students about it. One of the most important things that they taught was how to barricade your room if you cannot evacuate your classroom. First, the teachers should know the layout of their classroom and where the nearest exit is. Second, the teacher should place their natural teaching position, like their desk, away from the door. Third, pre-plan how you could barricade your door. For example, you could place a low bookshelf near the door to block a path into the classroom. Fourth, know how to utilize your windows to escape. And lastly, consider locking your door when student are in the classroom.